This is a Crema Marfel marble shower. Acidic cleaners, harmful to marble, caused a chemical process called etching to occur. Etching roughens the stone's surface and ruins the finish. 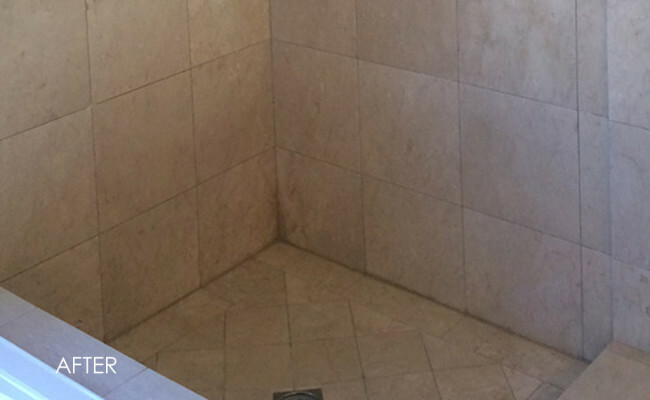 Consequently, we highly recommend NEVER using acidic cleaners on natural stone. 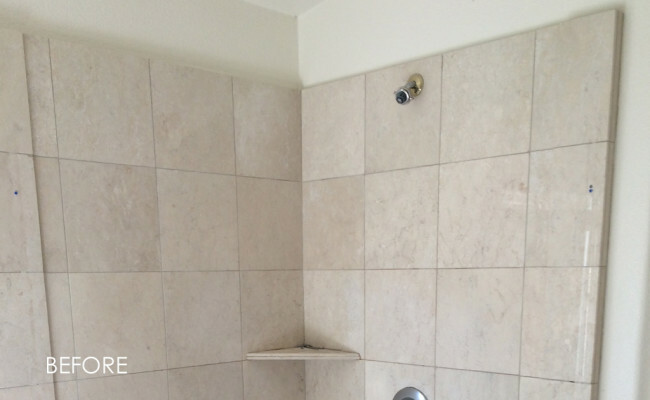 The BEFORE images show the shower prior to any work, the way it looked when we first arrived. 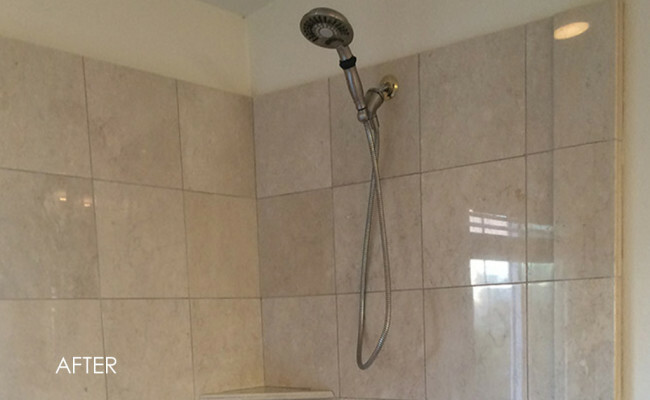 We removed the shower glass and all the fixtures, and then completely masked the walls, floor, and ceiling in the splash zone. Masking and protecting surrounding areas is standard procedure for all our jobs. Our marble honing process removed the damage. We honed the marble using diamond pads until we had a clean, smooth surface, ready for the polishing process. 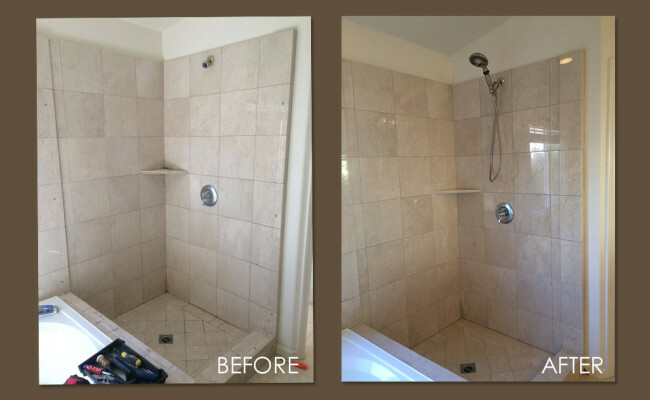 The AFTER images were taken when the marble was polished, cleaned, and the fixtures were replaced, but before we removed the caulking and grout at the base of the floor and replaced it with fresh caulk and grout. 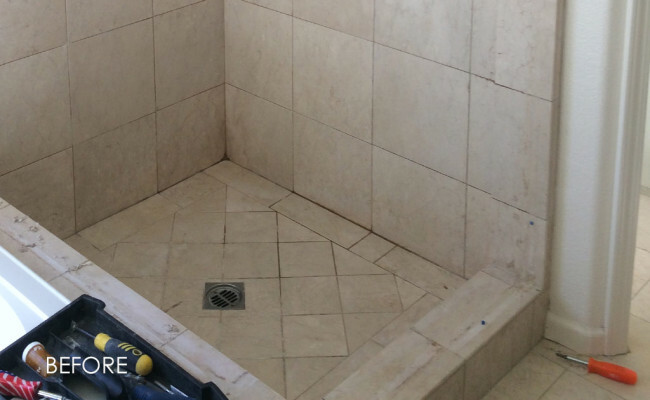 For marble shower polishing services, marble floor polishing, or any other natural stone repair or restoration services, contact us online or call (925) 625-9625. We service Danville, CA, as well as the Alameda and Contra Costa County areas.